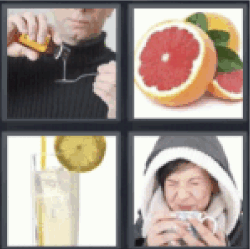 4 Pics 1 Word Grapefruit. Man spilling. Water with lemon. Woman spitting out.